Y'all ... these t-shirts are just the best! 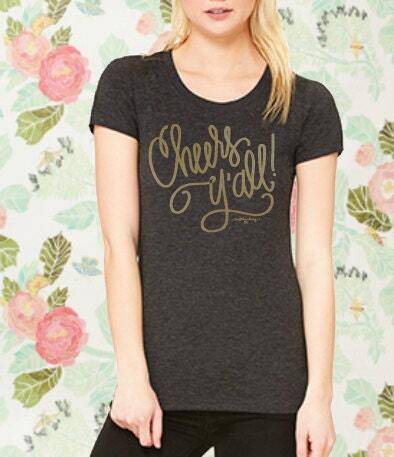 Hand-lettered "Cheers Y'all!" is printed in gold (yes, gold!) on a Charcoal Grey T-shirt! This is my new shirt for working out + saturday morning errands + super cute with a bold pattern skirt! Also available in Black with Gold lettering!! !